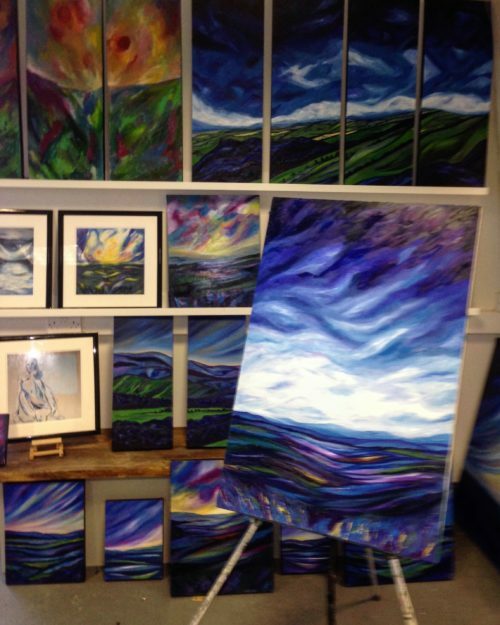 Sally is a fine art painter from Llawhaden and currently living and working in Haverfordwest. She originally started Art and Design at Pembrokeshire College, following this with Fine Art Studies at the University of Wales Institute Cardiff (U.W.I.C) and also completed a year of printmaking at University West of England (U.W.E) along with many other various courses within the arts during the course of her life. Sally uses colour to celebrate the bright mosaic of both our natural world and her own personal journey. 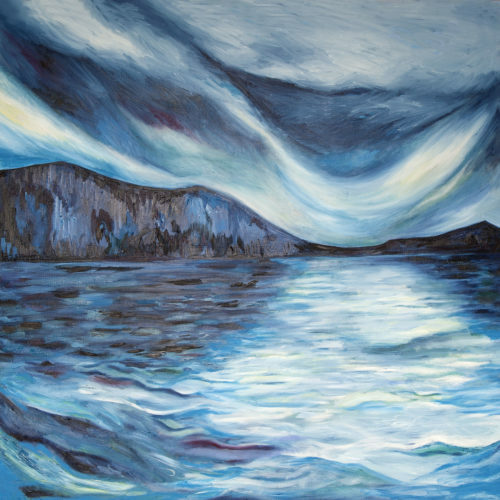 One of her main inspirations is the rugged Pembrokeshire coast and the myriad of colours found in nature. 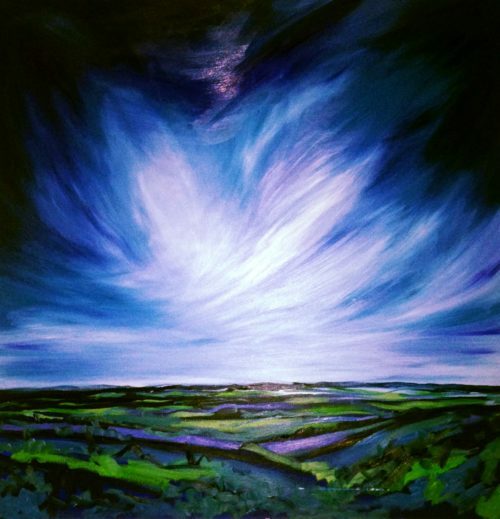 This exhibition is a collection of paintings that are influenced by her travels and she has aimed to give a sense of some of the beautiful wildness of our amazing county using the phenomena of nature to give a true sense of abstraction against more traditional landscapes.